I recently had someone approach me, and say "I know you have diabetes, but I don't actually know what that is". 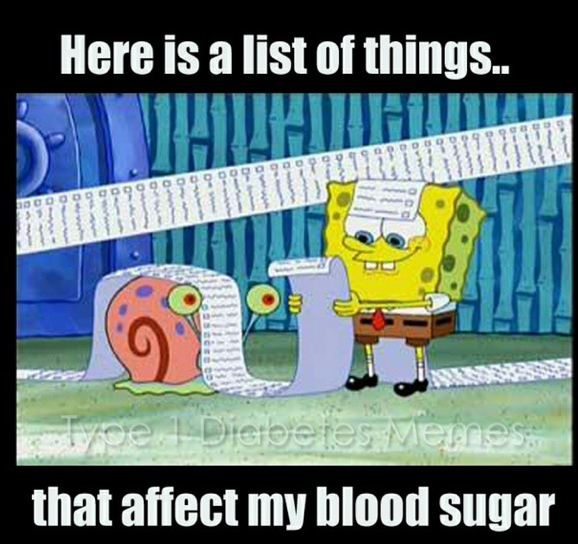 I decided that instead of explaining every detail of my Type 1 Diabetes to every person I meet, I should write a blog and tell people about it. There are 2 Types of Diabetes. Every Type 1 Diabetic is insulin dependent because the cells that make insulin in their bodies are dead. 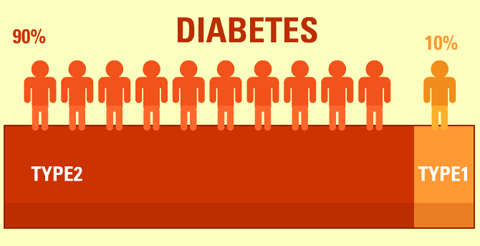 Type 2 diabetes can be related to diet, it can also be genetic but they are not always dependent on insulin. 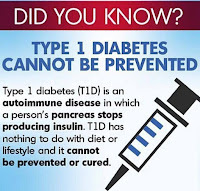 Firstly, Type 1 Diabetes occurs through NO FAULT of their own. It's not because we ate too much sugar or anything. It is an autoimmune disease which means my body essentially attacked it's own pancreas cells. I need to replace the insulin my pancreas can no longer make. There are different methods to do this. Some people inject themselves with insulin, normally a different kind of insulin for food and a different kind to cover your bodies natural function. 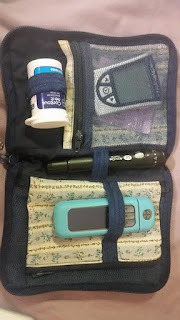 I myself have what is called an insulin pump. I have a cannula attached to my body 24/7, constantly giving me insulin. 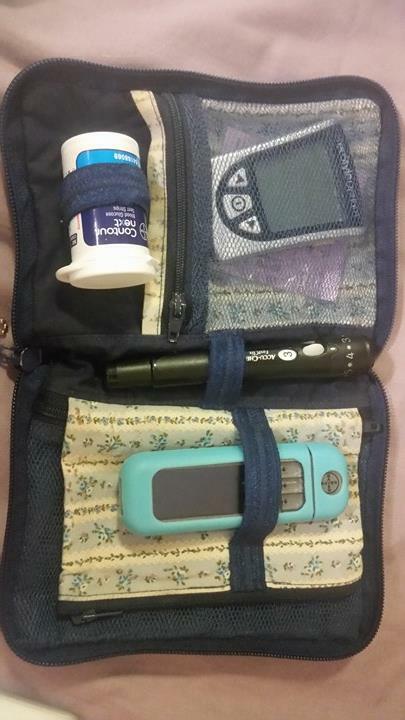 I still have to tell my insulin pump how much insulin to give me based on how much I eat and how much I exercise, so it is not easier than injections, just different. 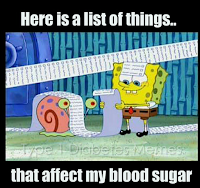 I have to do a finger prick and test my blood sugar to make sure everything is okay, so I know how much insulin to give and so I have an idea of what I'm dealing with. There are lots of different meters that check blood sugar, so if you see 2 different diabetics checking on different meters, everyone just does things slightly differently. I have a sensor that checks my blood sugar every 5 minutes, which sends a signal to my insulin pump, and alarms me to tell me if my blood sugar is dropping or not. It is not a replacement for a finger prick test though as it isn't always as accurate. I wasn't born with Type 1 Diabetes! So many people think this, but I developed type 1 diabetes when I was 14, some people can develop it as early as 2 years old or as late as 50 years old, it is different for everybody. 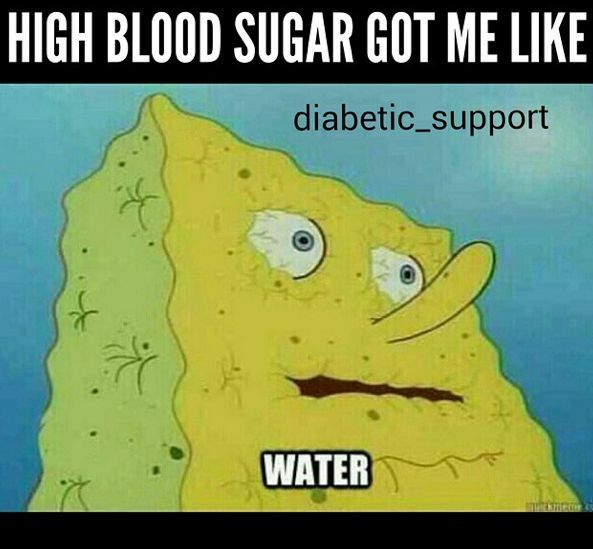 Type 1 Diabetes is really hard to control. With so many factors affecting my body, it is rare that I get everything spot on first time. If I snap at you, it is most likely that my blood sugar is too high, or too low, so please don't take it personally! 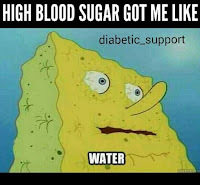 When my blood sugar is high, I can't concentrate. My words don't seem to be able to form, I struggle reading, I'm constantly thirsty and need the toilet all the time. I try to still do everything I can, but there are times when I have to admit defeat, and go for a sleep. 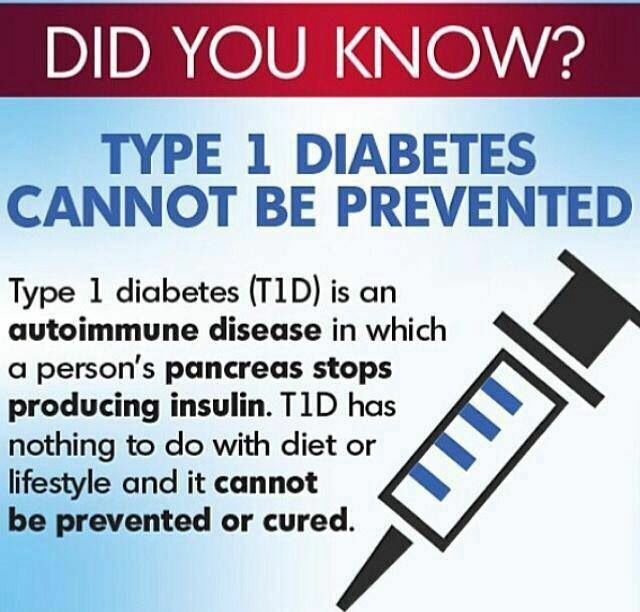 There is NO CURE currently for Type 1 Diabetes. I will have to replace the insulin in my body for the rest of my life, unless they find a cure in my lifetime. 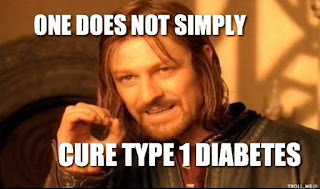 Personally, Type 1 Diabetes makes me soo tired. I can't do the whole staying awake til 3 o'clock in the morning unless I have a nap in the middle of the day. This one is personal, but some people don't realise how tiring it is to take care of yourself all day, every day, and sometimes not even see results! Yes, people who have type 1 diabetes can do whatever they want, within reason (there are some careers we can't do). The current prime minisiter, Theresa May, is Type 1 Diabetic! That does not mean I do not struggle with it everyday, I have just become very good at concealing when I am unwell, and just getting on with things. And if there are any questions that I did not answer in this blog, please just ask! Honestly, I would rather someone asked me if they were unsure of anything rather than presume the wrong thing. Ps This blog is my interpretation of Type 1 Diabetes from what I have lived. I apologise if there is anything incorrect in it. I asked Adrian Long, someone I met at an event for diabetic people, to talk about how he got diagnosed with Type 1 Diabetes a lot later in life than myself, and I wanted to get a different perspective on how different someone's life can be depending on what stage in their life they were diagnosed. I was diagnosed in December 1997, a few weeks after my 40th birthday. Quite a welcome to middle age! At the time, doctors told me it was highly unusual to develop Type One so relatively late in life*. It was a genuinely difficult moment for me. Until that age, I had lived a life with minimal contact with the health service. I went an entire secondary school career (seven years) without a single day's sickness absence and as an adult I was one of those people who was “never ill”. Before the short illness which preceded my diagnosis, I had worked for 17 years as a teacher with a total of four days off sick (two lots of two). Moreover, I was a slim, healthy and active person, who cycled to work, tended an extensive garden and walked from my home to the local shops rather than driving. At first, I was misdiagnosed as Type Two. My GP told me to "cut out all sugary foods", which puzzled me somewhat, as I have always had a famously "unsweet tooth"- there was little or nothing to cut down on. However, I agreed to do so, and came back a few days later - just before Christmas - to discover that my sugar level was higher than ever, so the doctor, persisting in his misdiagnosis, put me on medication for Type Two. At the time, of course, I knew nothing about either type, and this was in the days before google, so no chance for any online research. 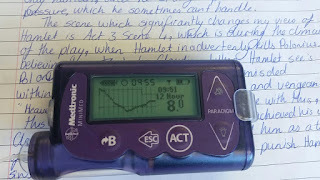 It was only when I reported back with an even higher blood sugar level and no sign of feeling better that he finally wondered if it might be late-onset Type One. Off to hospital I went (only as an out-patient), where a consultant agreed it certainly was Type One, and referred me to the clinic to learn the arts of injection and blood testing. I did all this without missing any days off work, despite feeling very tired. Once the insulin started to have an effect (and that effect comes on almost instantly, as anyone with Type One will tell you), I was soon back to normal and in the years since then I have continued to take on all that life and work throw at me, all with an unblemished attendance record in a very stressful job. After diagnosis, I found it very hard to accept my own limitations, drawing admiration from some, but worry and frustration to my own family. As an adult accustomed to a position of being “in charge” (I am a teacher), it is difficult to get used to sometimes being a bit pathetic or making a fool of yourself, for example when hypo. 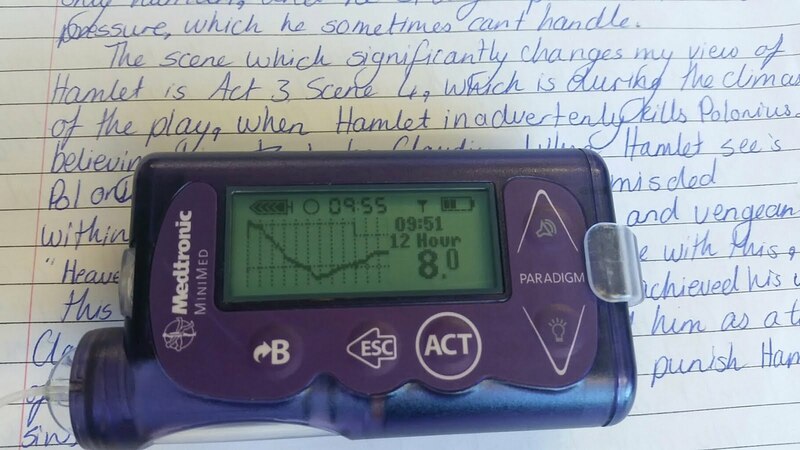 Thankfully, my control and hypo awareness were generally good, but I had my moments, most famously when I suddenly found myself sitting in my office at school eating biscuits accompanied by a Sixth Form student, with no idea how I had got there. I had been teaching a class and had apparently just “faded out” and stopped talking, so with commendable presence of mind, one of the group who knew of my condition took me by the hand and guided me to my nearby office, where he knew I kept my emergency supplies. For very young children, of course, the issues are for the parents as much as the child. I shudder to think of the worry and heartache felt by parents having to deal with such a fickle condition, and in effect needing to act as the child's pancreas and I can well imagine the additional worries when a child starts school, or moves from primary to secondary. But let’s not forget the child: it is so difficult to be fussed over, to be told not to do this, or be careful when you do that. Childhood has become so risk-averse in modern times, but for the diabetic child there's a whole extra layer of risk, and it's a real risk as well. Then there's teenagers, who have to endure living with a condition that inhibits their freedom just at the time in their life when they want to start to express that freedom. At some point, possibly a source of disagreement, there’s the difficulty of taking over their own testing and insulin dosing after their parents have been doing it. Then there’s the daft and often downright nasty things that get said at school to kids who inject themselves, prick their fingers and sometimes start acting strangely. There are issues surrounding weight and food, especially for self-conscious adolescent girls. Sleepovers, sport, parties, trips and holidays all bring extra complications, and that’s before we even mention the effect of growing up, puberty and hormones. All of it even more fraught with complications for girls than boys. For mid and later teens, the expected lifestyle is so fundamentally incompatible with diabetic life that I really feel for them. I wasn't exactly wild in my Sixth Form and student days, but I nevertheless enjoyed my fair share of late nights, missed meals and generally carefree spontaneity. If a young diabetic wants to enjoy drinking and clubbing, the hazards are self-evident. Even for younger adults, diabetes is no friend. Busy lives, building a career and setting up home all carry risks, stresses and strains, and what about parenthood? I hear many a tale of sleepless nights with new babies made worse by diabetes. And let's not even mention the potential minefield of pregnancy. I so admire the women I know who have trodden that path with diabetes in tow. I am in no doubt that Type One diabetes is best suited to sedate middle age - which is the age I was when I got it. Through #GBDOC I have in recent years got to know many other Type Ones, nearly all younger than me and the majority of them female. Unsurprisingly, most of them seem to have a more difficult time with diabetes than I normally do, but then I'm a man in my fifties who leads a pretty sedate and largely predictable life. Type One, male, middle aged and boring are a good match I think. Being diagnosed as a 14-year-old girl, it was hard, but I wasn’t in the middle of a career that could be affected by type 1 as Adrian was. I did however go through a big transition of change in school, as I was suddenly very different from everyone else. I couldn’t go and get a Chinese takeaway at lunch like a lot of my peers did, and things like school trips were difficult. I did deal with it all very well at the start, just getting on with what I needed to do, but as I have moved away from home, I have found things a bit more difficult. The independence I now have, which Adrian had for a while before he was diagnosed, has been difficult for me to adjust to in terms of controlling my type 1 diabetes. The lifestyle I have now is completely different to this time last year, and it is yet another adjustment for me. I wonder if I had been diagnosed as a young child, growing up with type 1 Diabetes throughout all the changes in my life, things would be easier with the massive changes that have happened in my life right now. On the other hand, Type 1 Diabetes is hard to handle in all stages of life. In terms of Type 1 Diabetes being more difficult as a female, there are a lot of different factors all genders face. Females do carry children and that can complicate things, but males may have other issues with things. I do find it hard having an insulin pump and wanting to wear a nice outfit, but males may feel just as self-conscious. Everyone is different and it is hard to judge whether someone has it easier based on the gender they are or the stage they are at in life.